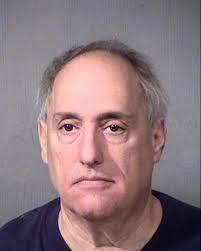 An Arizona grand jury has indicted 57-year-old Richard Mark Schmerman, a former investment adviser. Schmerman allegedly misappropriated more than $800,000 of his clients’ funds from 2005 – 2013. The Arizona Corporation Commission revoked Schmerman’s license in 2014 and imposed penalties. Schmerman allegedly lost access to his client’s investment accounts after allegations of co-mingling client and personal funds. According to the indictment, Schmerman impersonated some of his clients to gain access to their investment accounts. Schmerman allegedly used client investment funds taken from those accounts to pay personal expenses including a single payment of over $400,000 for a civil judgment issued against him. The Arizona Corporation Commission’s Securities Division investigated and referred the case to the AG’s Office for prosecution. The state Attorney General’s Office says Schmerman is facing charges of fraudulent schemes and artifices, theft, forgery and criminal impersonation. Read the full Indictment Here. If you invested with Richard Mark Schmerman and believe you may be a victim of Investment Fraud, call Bingham Law today at 480.832.1922.